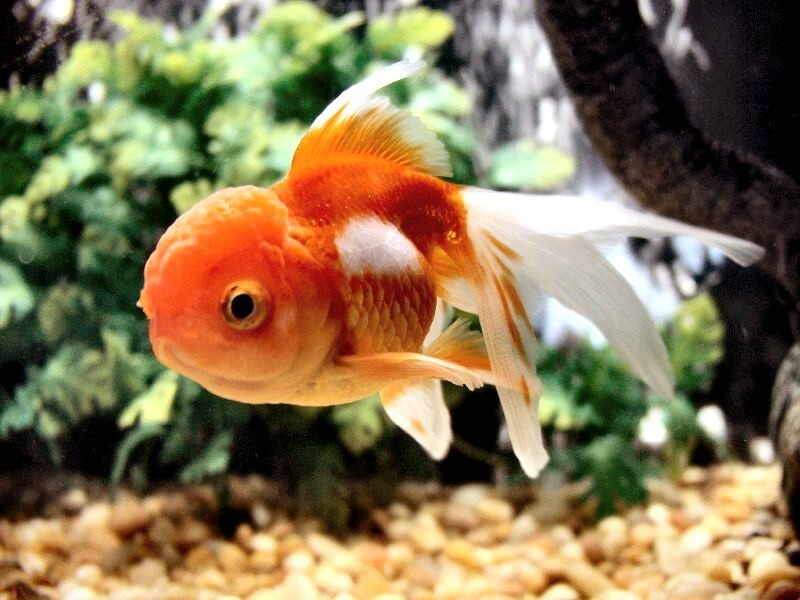 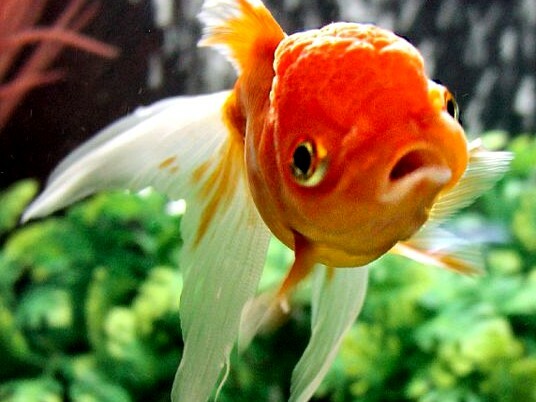 Welcome to picture gallery of goldfish. 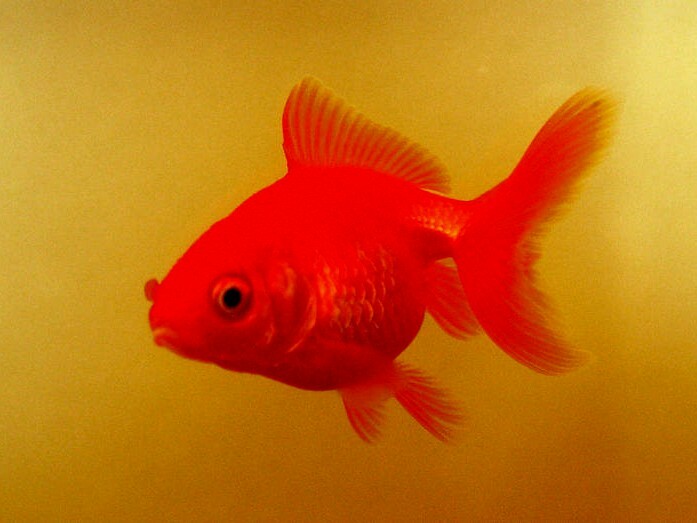 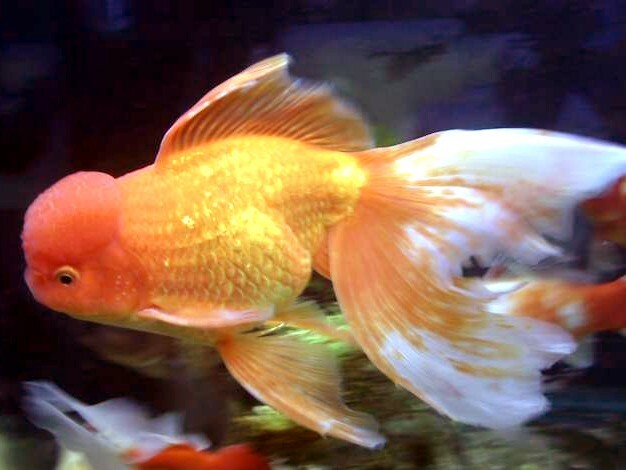 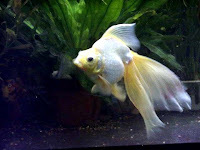 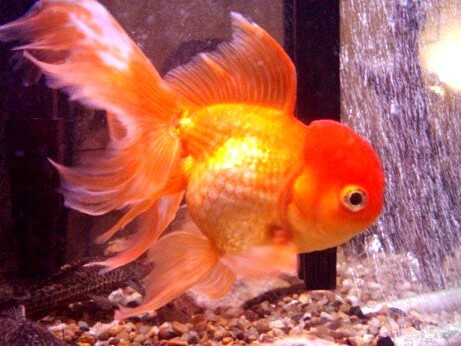 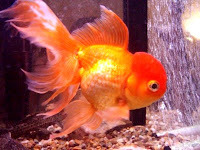 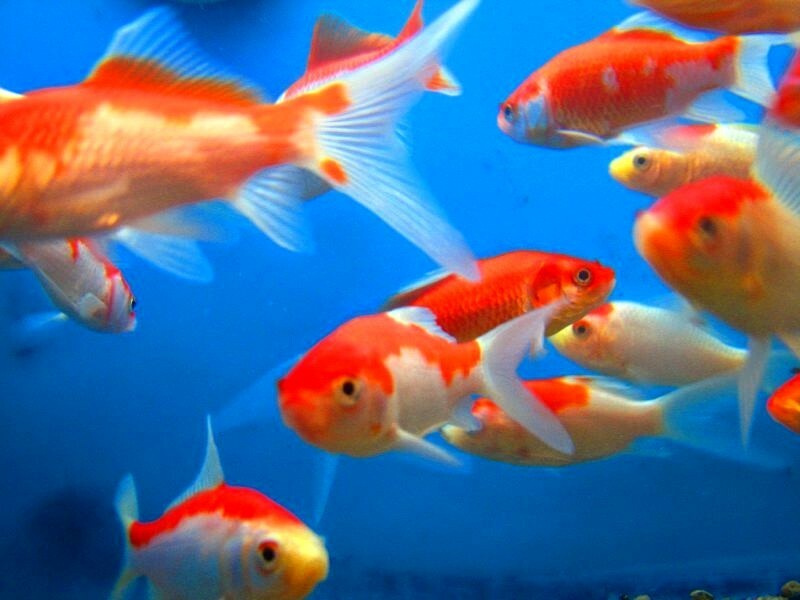 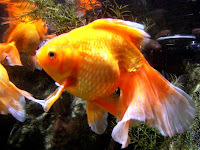 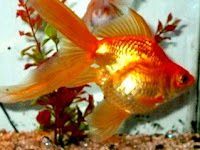 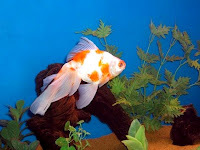 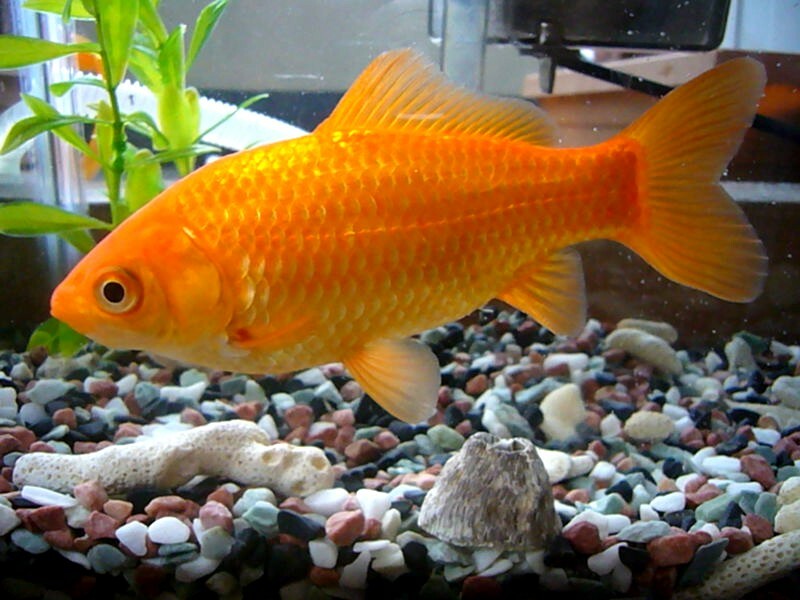 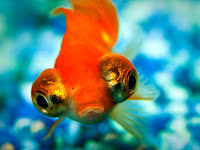 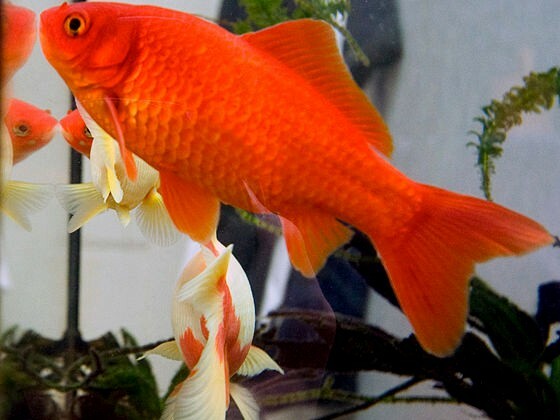 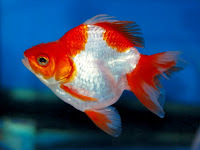 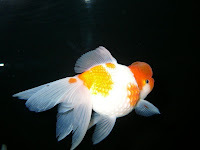 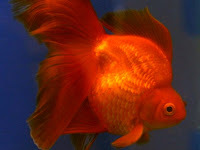 Brief information on goldfish breeds and their pictures are given. Prussian carp were domesticated and cultured for food and ornamental purposes in China for more than 1000 years. 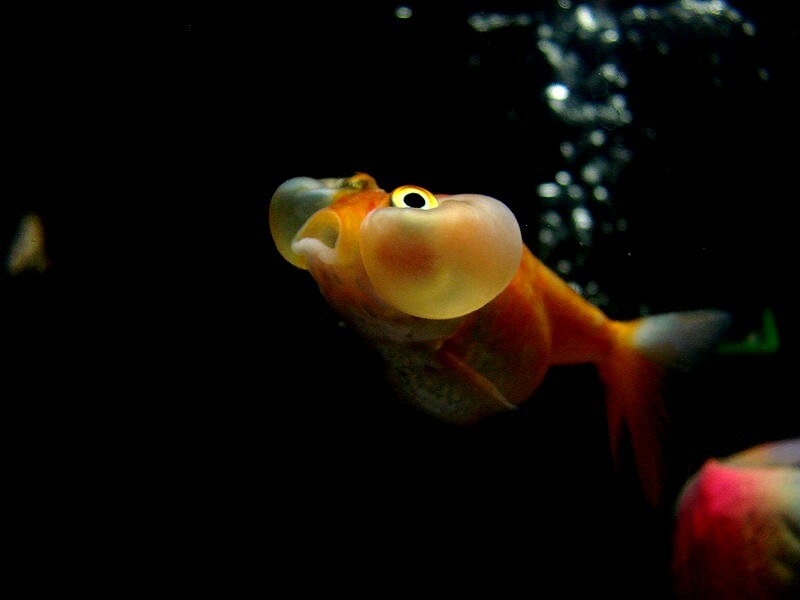 Goldfish were developed originally from Prussian carp and they were bred selectively for display in water gardens and ornamental ponds. Initially common varieties of goldfish were developed. 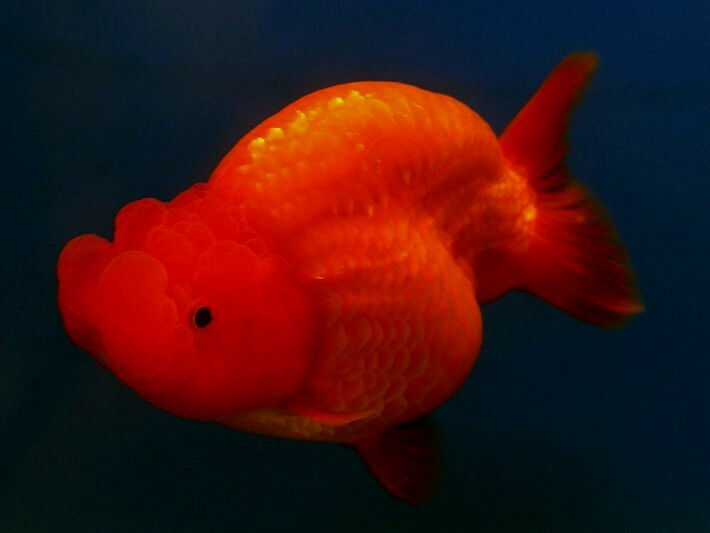 As nature threw up goldfish mutants with unique and sometimes bizarre forms and colors, selective breeding of the new traits were done and many new breeds have developed. 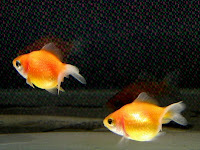 These goldfish breeds show mixture of Fan-Tail and Veil-Tail and the body is deep.There is much variation in tail length. The head is pointed and ends with a pointed snout. 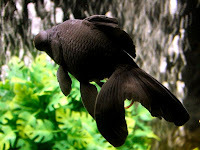 The dorsal fin is present and marked dorsal hump is seen. 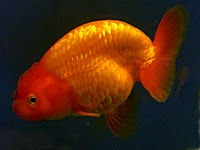 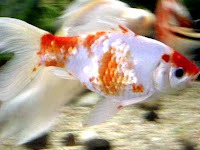 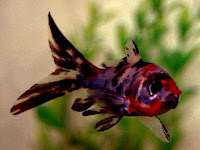 Ranchu has a big head and short rounded body with pronounced curved spine. There is no dorsal fin and the tail is pointing downward. 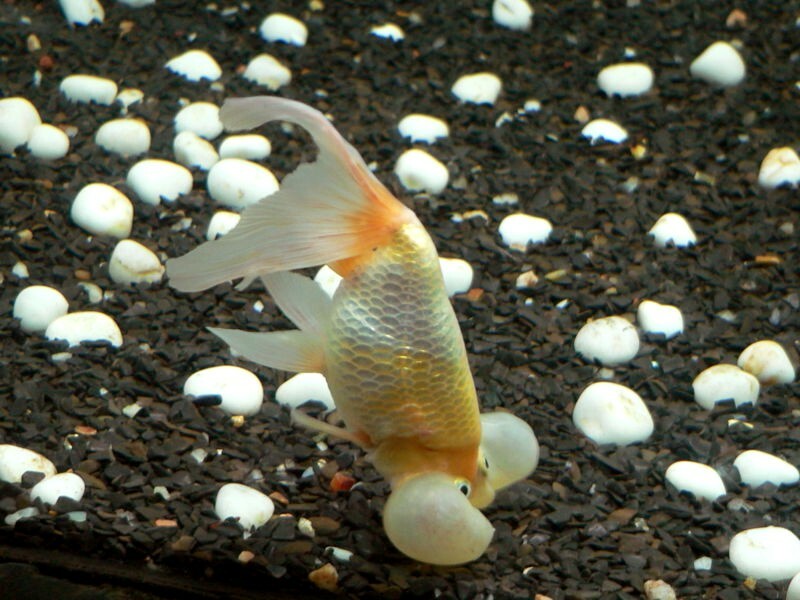 They show Oranda-like head growths. Veil tail goldfish have round body with a long flowing veil like tail. 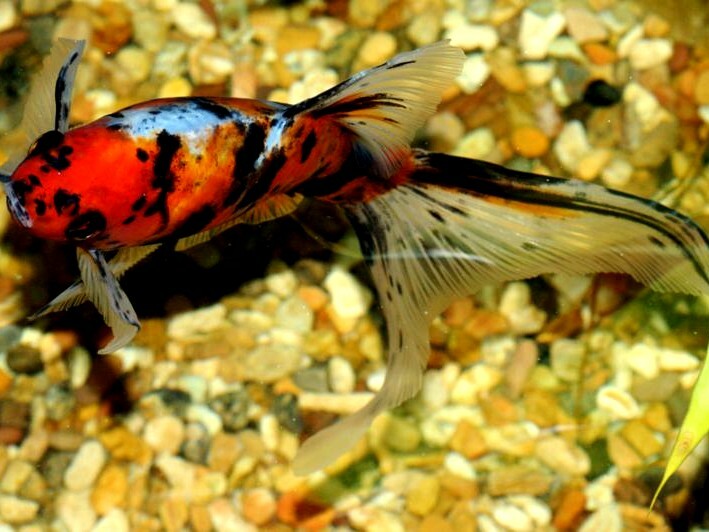 The color is usually calico or metallic. 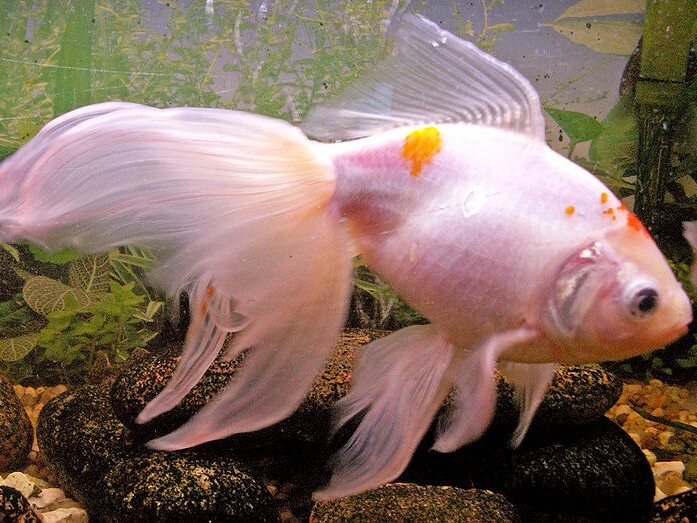 Orandas are similar to Veil-tails with a flowing tail, but have on their head a growth called 'wen' or 'hood', a raspberry like structure. Pearl scale has a short round body and dorsal fin is present. 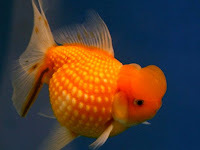 Some may have head growth. 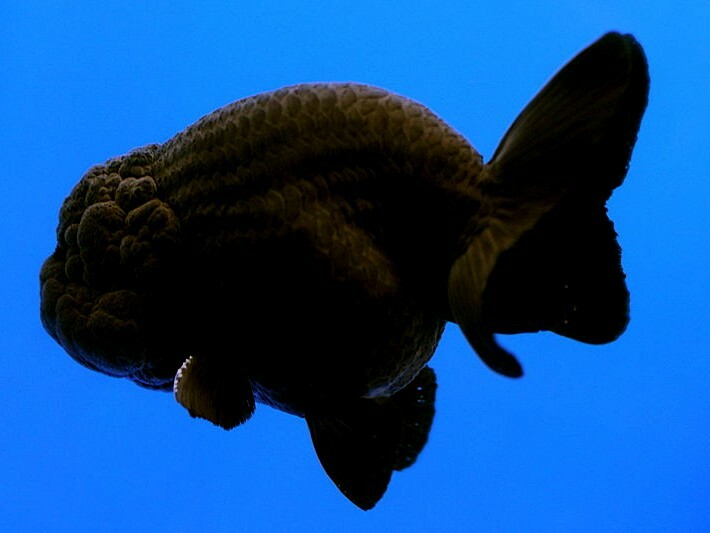 Scales are raised appear in the shape of pearls. Moors are believed to have a long history of selective breeding in China for more than 400 years. 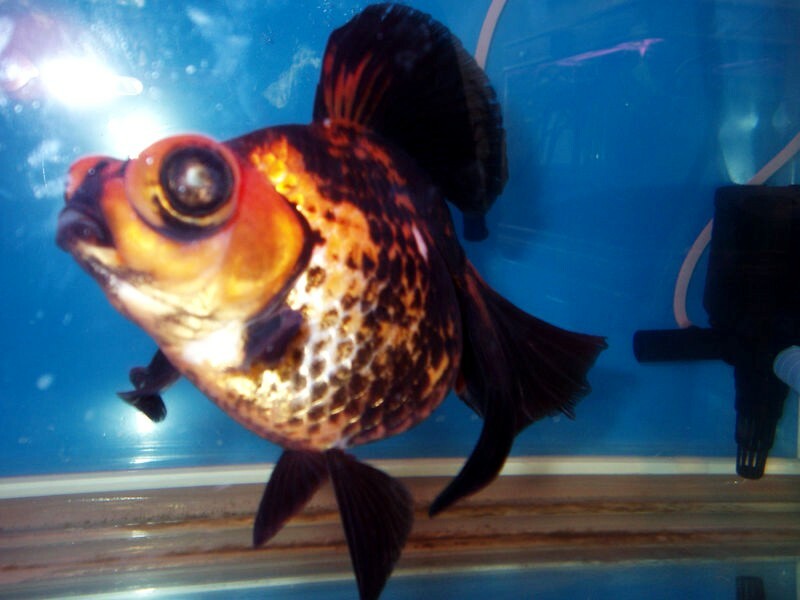 They are similar to telescope in having protruding eyes but are usually deep black in color with velvety appearance. 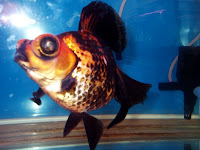 Bubble-eye come in many colors, have short bodies with the absence of dorsal fins. 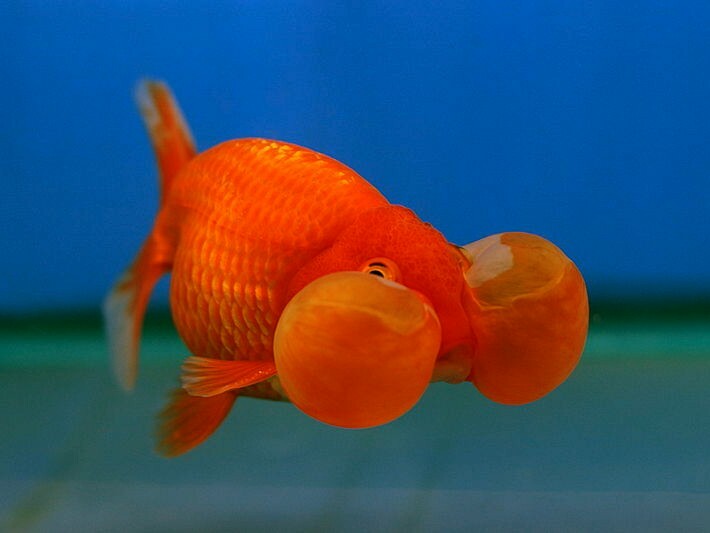 There is a large bubble like sack present under the eyes restricting vision. 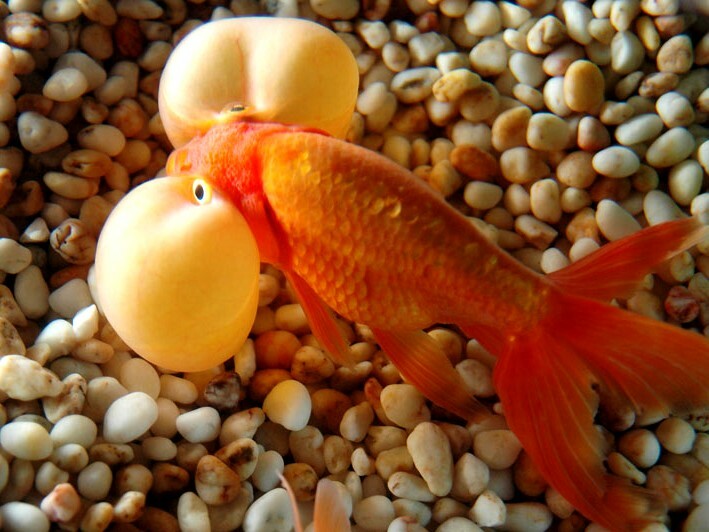 Due to poor vision they must be fed carefully. 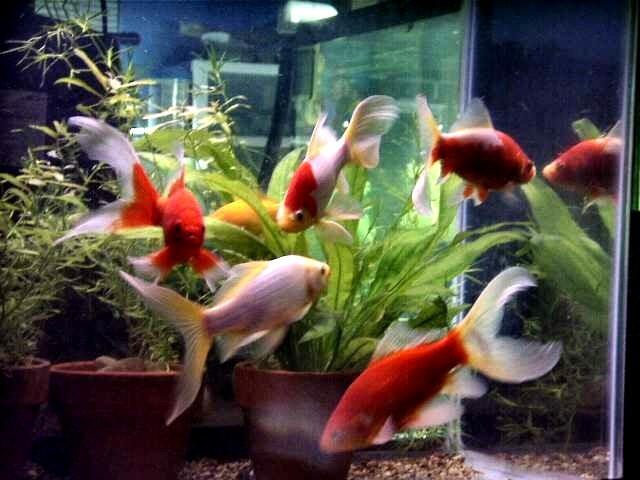 They are delicate and may bump into decor. Any hard object in the aquarium may hurt them. The body shape is similar to wild common type, but has a elongated forked caudal fin. They come in many true color types like metallic yellow, metallic orange, red and calico. 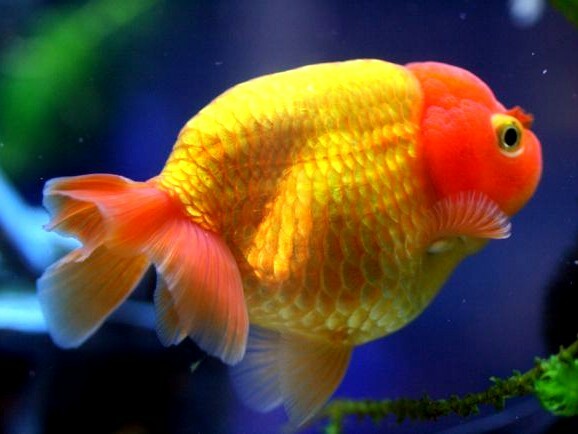 Cross breeding of these has given rise to mix of many colors. Shubunkin are long bodied with calico coloration. Usually have elongated Comet like fins. 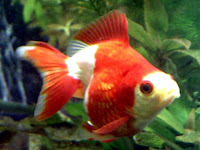 A true Shubunkin has more rounded and heart shaped fins. 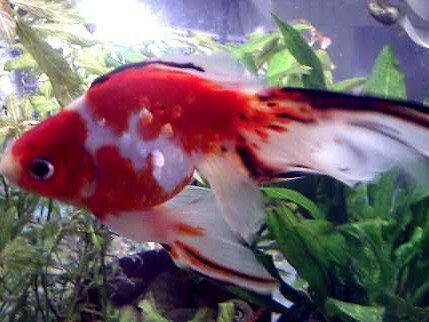 Calico Comets are usually mistaken for Shubunkins. 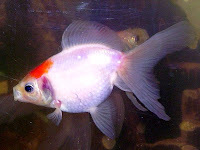 Telescope-eye is very similar to veil-tail but has protruding bubble eyes. Many color variants are available, except black. 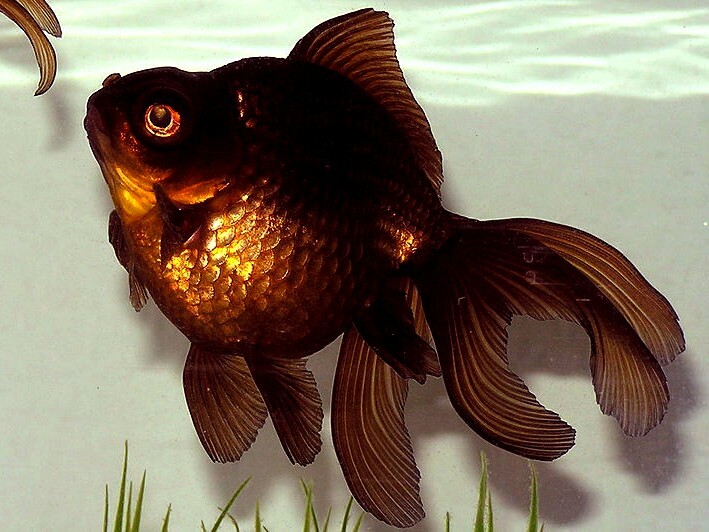 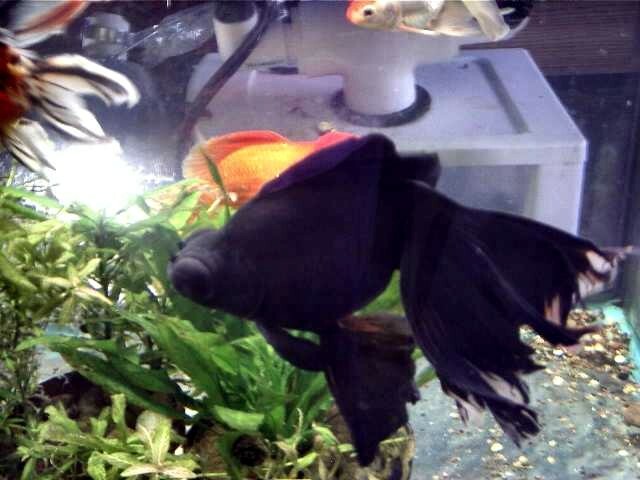 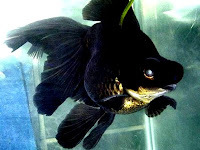 If black it is black Moor. Fan-tails have a short, rounded egg-shaped body. 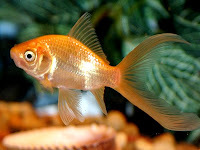 Dorsal fin is present and the tail is short and forked to give appearance of a fan.